Pedestrian bridge at Yarunga Park, Ringwood, Melbourne. This bridge is 9m long. 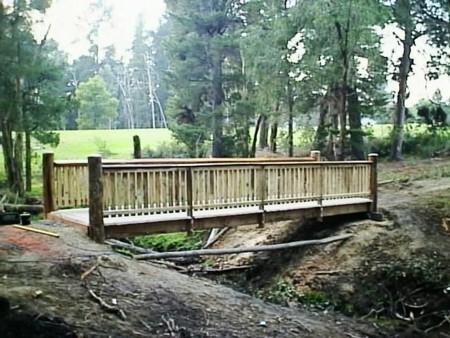 Radial sawn stringybark was used for the total structure, this gave a rustic look to the bridge.